Sections of 2(?) walking stick practice chanters. 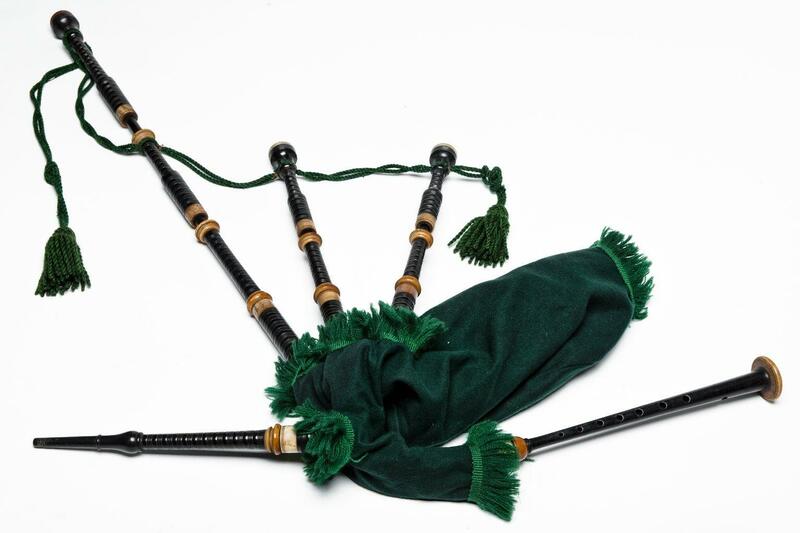 Set of Highland bagpipes, half-size.